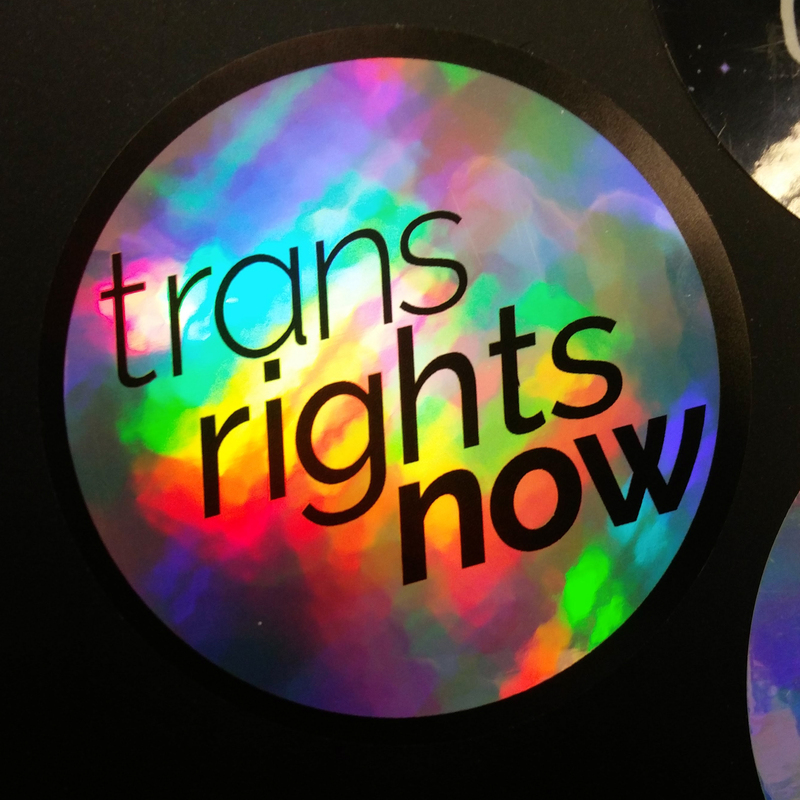 A beautiful 77mm-wide waterproof PVC sticker that reflects light in wonderful patterns! 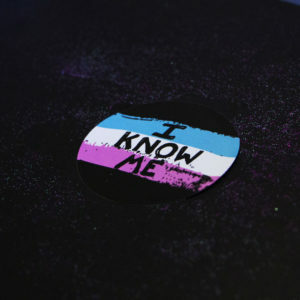 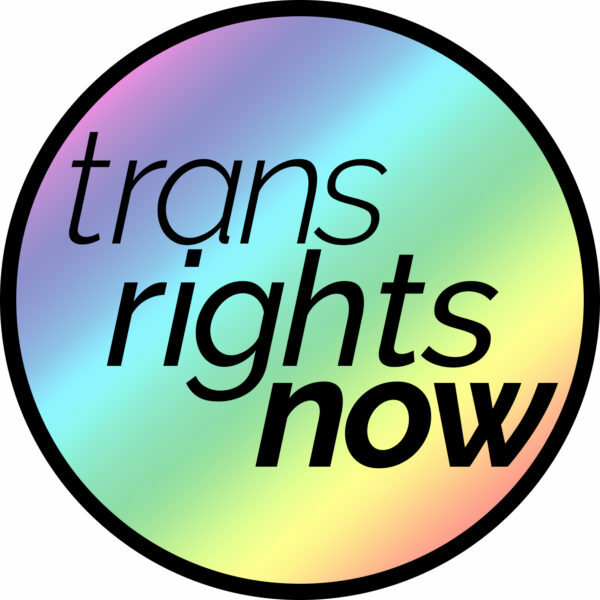 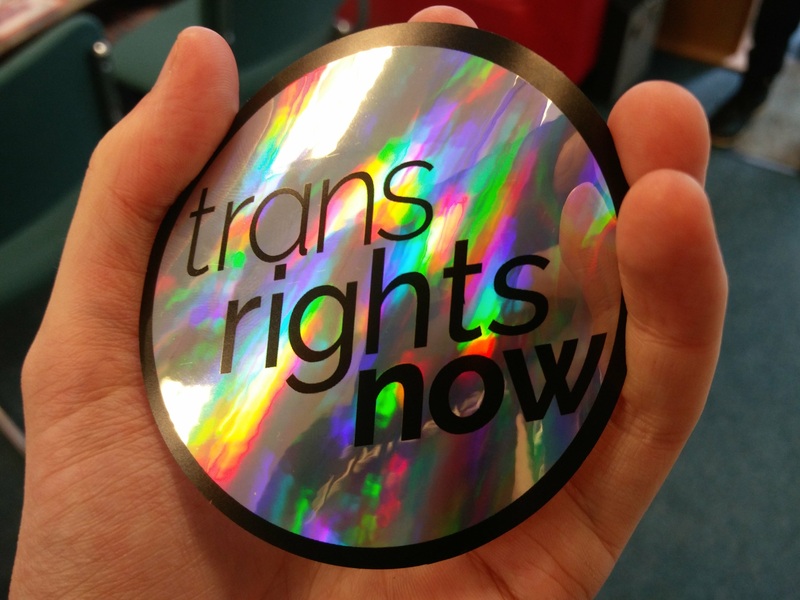 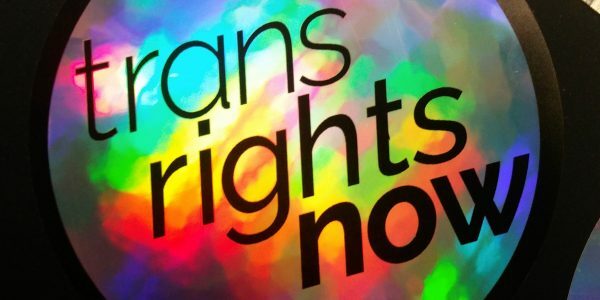 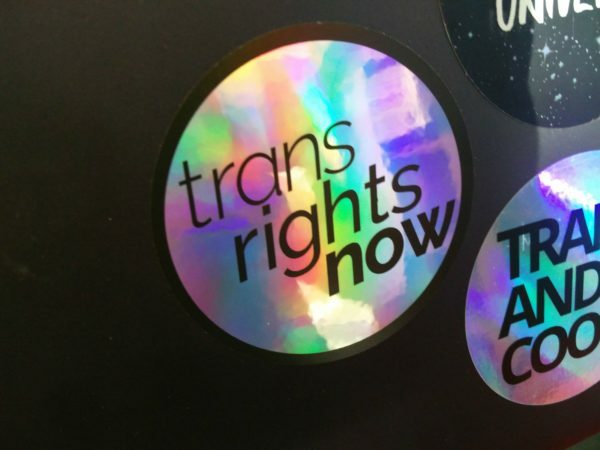 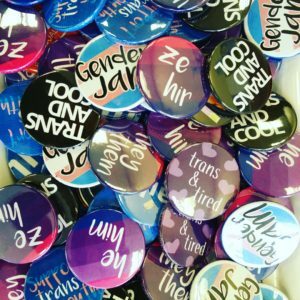 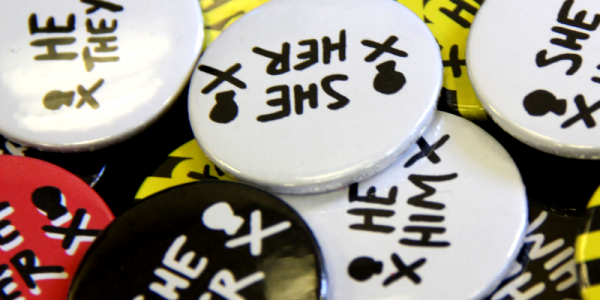 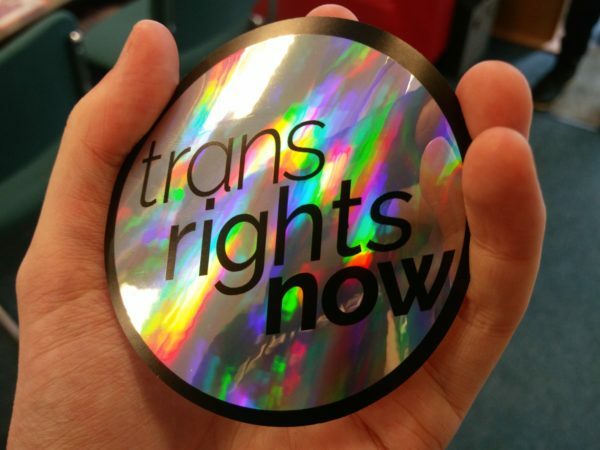 Strong black text with trans rights now, with a black surround to the whole sticker.  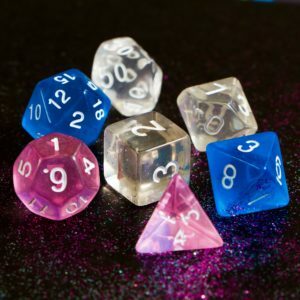 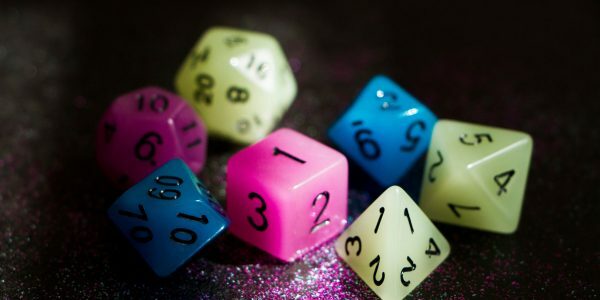 The animation above is an idea of what our holographic stickers look like.